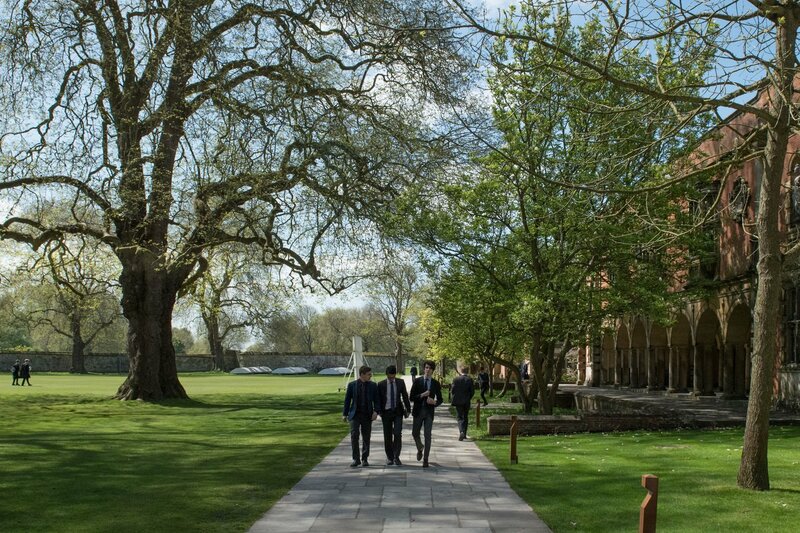 When Winchester College was founded, the world had already started to demonstrate increasingly global characteristics, with rising trade between East and West, and a growing exchange of art and culture. We embrace that same spirit today and welcome boys from across the world, offering a globally conscious, diverse, and welcoming environment. The school encourages a deep understanding of different perspectives and culture, and prepares boys to enter the world as true global citizens. Request a Prospectus and also start to get to know Winchester through our website. Complete and return your registration form by the closing date of 3rd July at the end of Year 5, enclosing a non-refundable fee of £375. Your son will sit the ISEB Common Pre-Test during October and November in Year 6 at his current school or an approved centre. In the January of Year 6, successful candidates will be invited to attend an Open Day at Winchester. Interviews will take place in Hong Kong in February of Year 6, with results published in April. When you accept a place (by 1st September of Year 7), we ask for an Entrance Fee of £500. If you would like to explore a bursary, please complete and return the bursary application form by 1st September of Year 7 (forms available via the bursary office). Decisions are made by the end of November. Your Entrance fee will be refunded if you are unable to continue your application. Attend an Our Journey Together Open Morning in January and February of Year 7. This is designed to congratulate your son, and also to help the family prepare for starting at Winchester. In January of Year 8, sign and return the Parent Contract and deposit by 31st January, after which we look forward to staying further in touch. During Year 8, there are opportunities to apply for a Sport, Music or Academic Scholarship (known as Election). Boys sit either Election or Winchester Entrance exams in April or May of Year 8. Election is taken over three days at Winchester in the same week as the Entrance exam. The Entrance exam is taken in the boys’ own school or at an approved centre. By June of Year 8, places will be confirmed, and we will look forward to welcoming the successful boys to a New Men’s Day.